Dr. Ingley has a great bedside manner, and the audiologist Cindy was extremely helpful and patient with me. Nice lady, but horrible wait time. They told me to be there early and I still didn’t get in to aroom until 30 minutes after my appointment. Then I had to wait even more time for her to even see me. She talked to me for 5 minutes and was done. I tried asking questions, but she was already out the door. Nice lady, but horrible wait time. They told me to be there early and I still didn’t get in to a room until 30 minutes after my appointment. Then I hadto wait even more time for her to even see me. She talked to me for 5 minutes and was done. I tried asking questions, but she was already out the door. 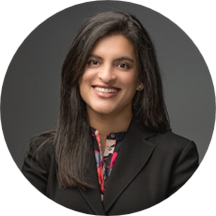 Dr. Avani Patel Ingley is the newest member of the Northwest ENT and Allergy Center. She grew up in Vidalia, a small town in southeast Georgia. Dr. Ingley received a Bachelor of Science in Microbiology from the University of Georgia where she was a member of Phi Kappa Phi and Phi Beta Kappa. She completed her medical degree and residency training in Otolaryngology-Head and Neck Surgery at Emory University in Atlanta. During her time at Emory, she was inducted into the medical honor society Alpha Omega Alpha. Dr. Ingley is trained in all subspecialty areas of otolaryngology with special interest in the areas of pediatric otolaryngology, allergy, and sinus disease. Dr. Ingley and her husband of 6 years, Jared, have one daughter Simran, who is 18 months old. Jared is also a native of Vidalia, Georgia. In her free time, Dr. Ingley enjoys traveling, reading and spending time with friends and family. Ok. Dr baffled as to problem but trying to get to the bottom. Very doctor and very sweet! Had no problem with getting right in and seeing the doctor. Would have liked her to not seem so rushed to move on to the next patient, but rather to hear out my questions for a minute or two. The Office Staff was great, I was really treated nicely and professionally by the young man at the front desk! Dr. Ingley seemed a bit hurried each time I saw her. Her bedside manner is quite business-like and straight to the point. She didn't exhibit a lot of understanding. She gave me a diagnosis, but when I was still having issuesafter several weeks, she seemed a bit annoyed by it and was quite ready to refer me to someone else. Great doctor, but lots of patients. I feel like I never got to spend more than about 15 minutes with her. She did surgery on my septum to correct it and i've been feeling great since then. She definitely knows what shes doing. I always felt comfortable. Dr. Ingley was very thorough. Her manner was professional and at the same time friendly. I will continue to see her. She put me at ease right away. I felt very comfortable with her. She had some excellent ideas to get me some relief from my sinus issues. I look forward to my next visit. Very easy and friendly check in. Nurse who led me in was fine, but the real 5 star review is for Dr. Ingley. Made me feel calm and well taken care of, funny yet professional all at once. I am actuallyexcited about my surgery with Dr. Ingley. Don't know many doctors who make you excited about having surgery but she did it! Very informative. Others in here say they feel she was too short. I disagree. She was no bull and to the point. Gave honest options and was personable. Did not rush me in my decision at all. Very short visit. She was very personable and professional. Would definitely recommend! Avani was very pleasant, but running behind. My appointment was at 8:30 am. I arrived at 8:15 am. Filled out a mountain of paperwork. Didn't see the doctor until 9:15 am. The doctor visit was lightning fast. It was obvious shewas behind on her rounds and treated me as such. My visit wasn't that positive. I'm sure she is an excellent doctor, but I won't be going back. I really liked meeting Dr Ingley. She was super personable which is hard to find these days and she gave me a lot of great information. I ask a lot of questions, so its nice to have a doctor that willtake the time out to answer my questions and not just treat me as a nuisance. Thanks ZocDoc! Loved her! Great problem solving skills. Very personable and a good listener. The wait time could be shorter. Front desk staff are ok.
She was very personable and listened more than any other doctor. Dr. Patel Ingley was wonderful and I would strongly recommend her. Very helpful - spent time with me answering my questions! Dr. Ingley was fantastic. She is very personable, professional, and thorough. However, I was very frustrated with my wait time. My appointment was set for 10:00, and I arrived just before that. As a new patient, I expected some paperwork, soI figured I wouldn't be taken back right away. (The paperwork was finished and turned in- about 5 minutes tops.) But I was not anticipating waiting for over an hour. I would have walked out, had I not been in dire need of professional care. I was never offered an explanation for my excessive wait, nor did anyone even acknowledge the inconvenience. I made up my mind to never return before the doctor saw me, but Dr. Ingley was so wonderful and helpful that I'll give that office one more chance. She takes patients in Marietta; I'll consider going there to see her if I must. I can't stress enough how happy I am with her professional care. My frustration is only due to the excessively long wait. I was very impressed with Dr. Ingley. She explained things very clearly and put me at ease. I would highly recommend her to my family and friends. After seeing 5 different doctors about my ear in the past few months, this has by far been the best appt. She actually listened to what I had to say, was always pleasant and smiling and was extremely comforting- as adoctor should be. The only issue I had was the Suite # was wrong from what ZocDoc has, but it was just next door so no big deal. I will be returning to this doctor again and I am very well pleased with my first ZocDoc usage and will use again. Thank you for the service. she was really nice and professional. Dr. Ingley was very friendly and intelligent. Would definitely recommend this doctor. Dr. Ingley is the best! Extremely pleased with my appointment, her bedside manner, her expertise and how smoothly everything went. I recommend her HIGHLY!!! My wait was too long, however I am very confident that she can meet my medical needs. I will definitly make my next appointment with her. She was very professional. She was concise and clear in her explanation of mu issue. Dr. Ingley was the first ENT specialist that I felt really helped. I would recommend her to a friend without any problems. I feel as if she will solve the issue that I am having with my ear. I really think that the office is run professionaly, and I walked away feeling like they answered my questions and provided a starting point to progressive treatment. Sr Ingley was excellent! She was thorough, insightful and kind. She always puts my son at ease. Which after a VERY long wait, was very necessary. The only reason I marked wait time (less than 30) was due to Dr. Ingley being in surgery and it was running late. Dr. Ingley was excellent! I told her what was going on with my ear and she diagnosed myproblem and gave me a solution in a short time. I was so excited and appreciative! I could hear again! Hallelujah! Dr. Ingley has a wonderful "bedside manner" and speaks to you like you are a real human being and she "hears" what you are saying to her. My experience with this practice and especially Dr. Ingley was extraordinary!! I would highly recommend her. The doctor was courteous and professional. Dr. Ingley was very personable & friendly. She listened to what we had to say & explained things well to us. She discussed her plan of care & f/u with us. We were very pleased & would recommend her to anyone.